It was by chance that I checked the weather forecast the day before these pictures were taken, a cold November morning in the Peak District and we have been having a few just recently with weeks of unpredictable weather and lots of rain and I had previously spend 2 days in the peaks looking for good locations for some great pictures to share, so when I noticed a promising morning I got prepared! 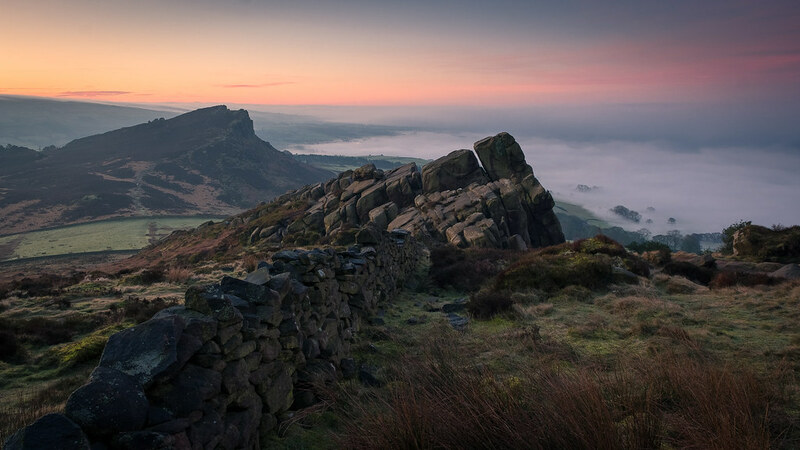 I studied my map and books as I am still not greatly familiar with the Peak District that well yet, I’m starting to name and recognize hills and features now as I venture more and more, and im also learning a lot about the history too which is very enjoyable to learn. 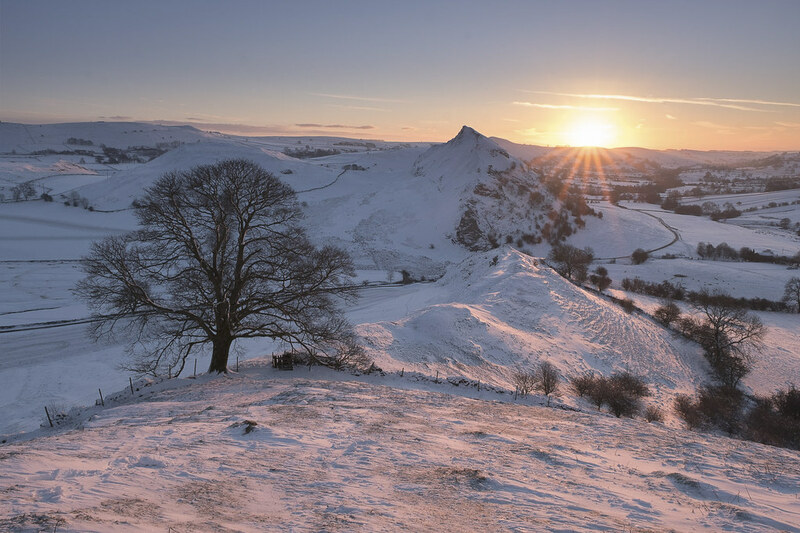 I’m always looking for new places to go for that great photo opportunity and after looking at several alternatives Thors Cave, Roaches, Hollinsclough, Buxton and even as far as Curbar Edge I decided on High Wheeldon as it draws me for its sheer height and dominating presence for its location. 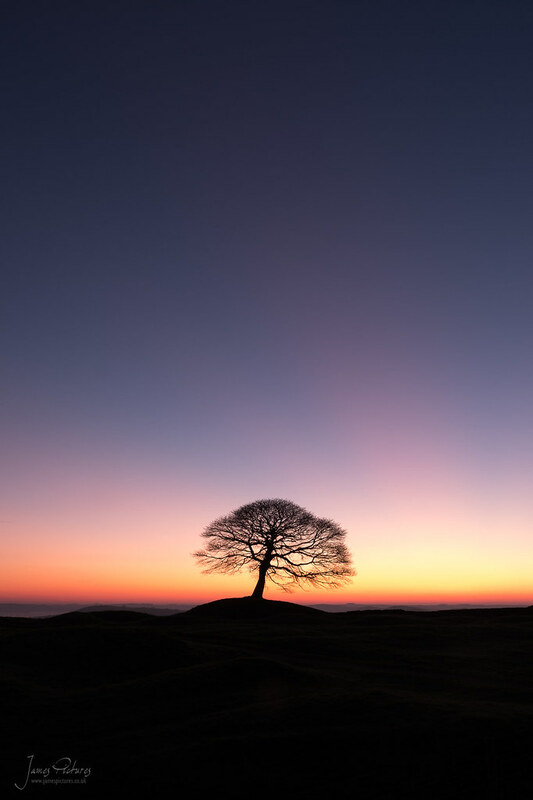 My alarm went of at 6am as sunrise was at a pleasant 07:40 which gave me ample time to cope with the frost and -2 degrees defrosting the car and putting some warm clothes on! As I drove the 40 minutes I was passing though pockets of fog even when I left home it was thick fog so I wasn’t really sure what to expect and even at that moment I was thinking of alternative locations like Shutlingsloe near Buxton to get above it. 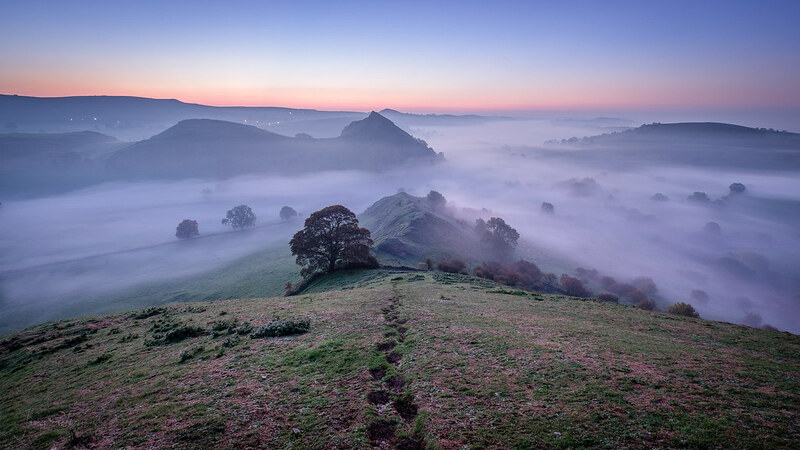 As I drove further into the Peak District the fog was incredible, lingering in the low lands and as I approached Longnor and drove over the hills towards Crowdecote I knew I had made the right choice as the fog was stunning. 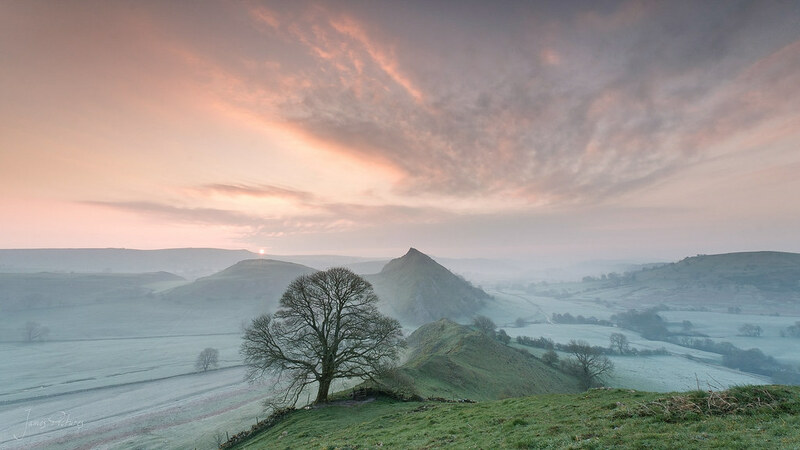 I arrived at High Wheeldon in good time, in fact I arrived at about 06:40 giving me an hour to walk the 10 minutes and set-up, so I took a nice slow walk up to the top. 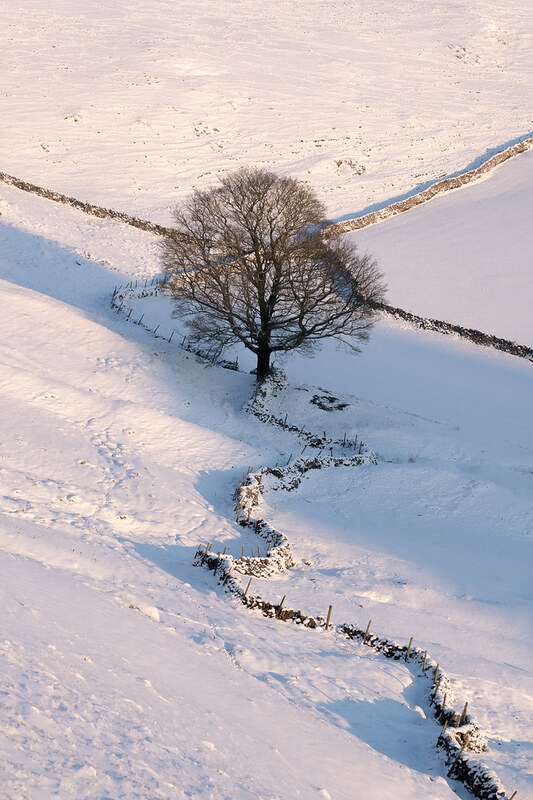 Underhill Farm in the Peak District, near Earl Sterndale. As I got to the top I was met with a wonderful sight of the Dove valley where the River Dove snakes though the valley surrounded by some of the more popular hills such as Chrome Hill and Parkhouse Hill near the village of Hollinsclough. For me it was all worth while, I have never seen anything quite so like it don’t get me wrong I have traveled and I have seen the world I have also seen lots of amazing sunsets and sunrises but the fog clinging to a valley before sunrise was defiantly overwhelming, and exiting in a sort of way and I wanted to capture it and share it to the best of my abilities. 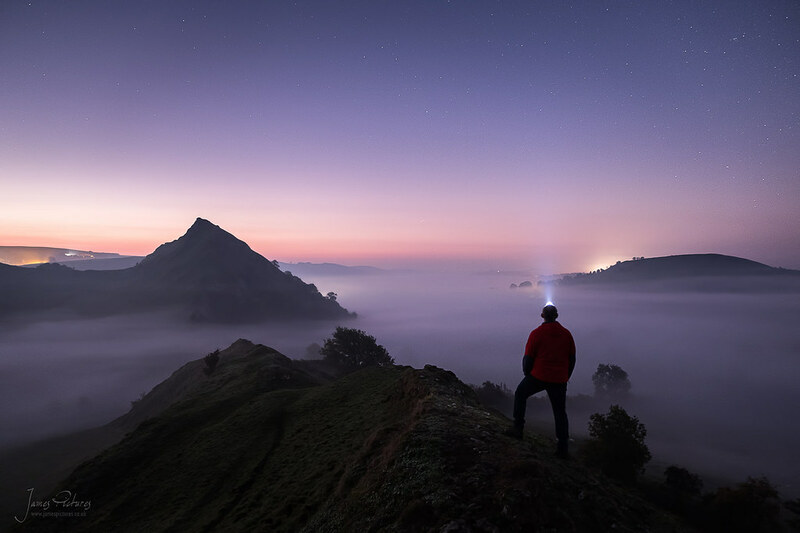 From High Wheeldon you have I would say 360 degree views of the surrounding area, and I was looking around everywhere watching the light change and the fog drift constantly it was an amazing sight that you should all try to experience once in your lifetime! 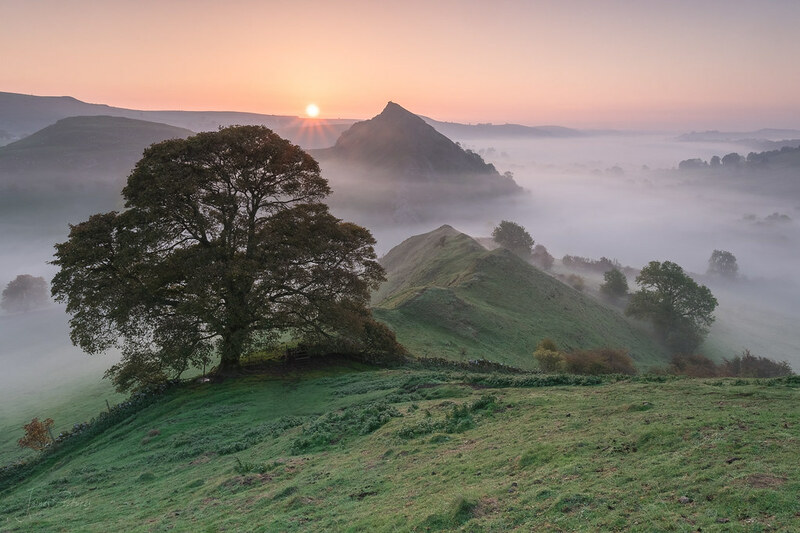 I stayed on High Wheeldon for sunrise I have attached the images to the bottom of this page as I came away with rather a lot of nice photos and instead of bombarding the article with to many pictures I will let you look though them in your own time. After sunrise and I had taken probably 30+ photos I had to make a move home as I had family visiting at 10am so decided to head back slowly getting a few more photos on the way. As I drove down towards Crowdecote I quickly stopped and looked down the valley towards Pilsbury, the light wasn’t so great but I bumped into another photographer from Leek called Paul and we had a quick chat and I discovered he was a Member of the Leek Photographic Club which I was contemplating attending. We talked for 5 minutes and I decided to move on as the light was really drab and the sun just wouldn’t come back though the clouds. Clouds lingering at Butterton village, whilst the church of St Bartholomew dominates the surrounding landscape and the sheep graze. The church of St Bartholomew in Butterton standing out of the morning fog. As I drove back I went via Sheen and Butterton and I was overwhelmed by what I saw at Butterton, the church of St Bartholomew was pushing high above the fog making a most wonderful sight so I pulled over and took a few photos and even drove some more to get a better angle! My most favorite photo of the morning has to be from Butterton I managed to get into a good position to capture the church poking though the fog. 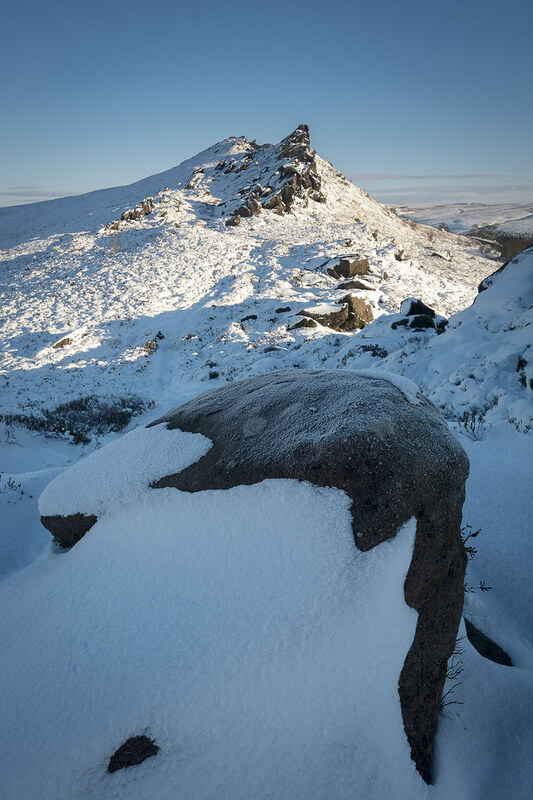 I then carried on home and was back in the kitchen for 9:45am having a nice brew to warm me up and had a few hours with the family, all in all a fabulous morning in the Peak District.